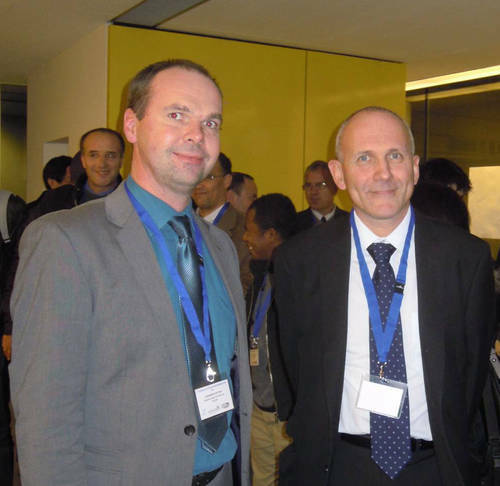 Following the successful start of the workshop series “Mechatronic Design” in 2012, the 2nd Workshop on Mechatronic Design Paris 2013 was held in cooperation with LCM’s scientific partner Institut Supérieur de Mécanique de Paris (Supméca). Scientists from seven European nations and Japan participated in the workshop. The workshop was organized in cooperation between LCM and the Institut Supérieur de Mécanique de Paris (Supméca) by Dr. Jean-Yves Choley (Supméca). Among the participating institutions were Institut Clément Ader INSA Toulouse, Site de l’Ecole des Mines d’Alès, Université de Technologie de Compiègne, Fraunhofer Institute for Machine Tools and Forming Technology, University of Naples Federico II, UEC Tokyo Ming Lab, Flanders’ Mechatronics Technology Centre, Università degli Studi di Padova and University of Strathclyde in Glasgow.